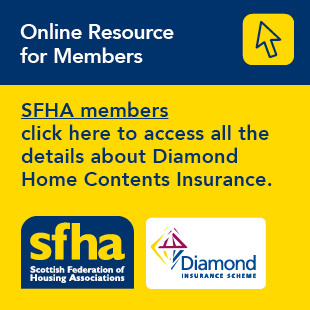 Regular governance self-assessment is an important tool to help RSLs maintain strong governance, the Scottish Housing Regulator (SHR) said at a conference last week. SHR Board member Simon Little addressed delegates at the Scottish Federation of Housing Associations’ annual Chairs’ Conference. Mr Little noted the many challenges, including developing new homes and responding to welfare reform changes, facing RSLs. He highlighted the importance of strong governance to help manage these challenges. Mr Little said to delegates that they play a crucial role, as chairs and leaders of their organisations, in ensuring governance is as strong as it can be. SHR is currently examining governance self-assessment practice in the sector to support good governance. It will publish a report of its findings, which will include recommendations and examples of positive practice.